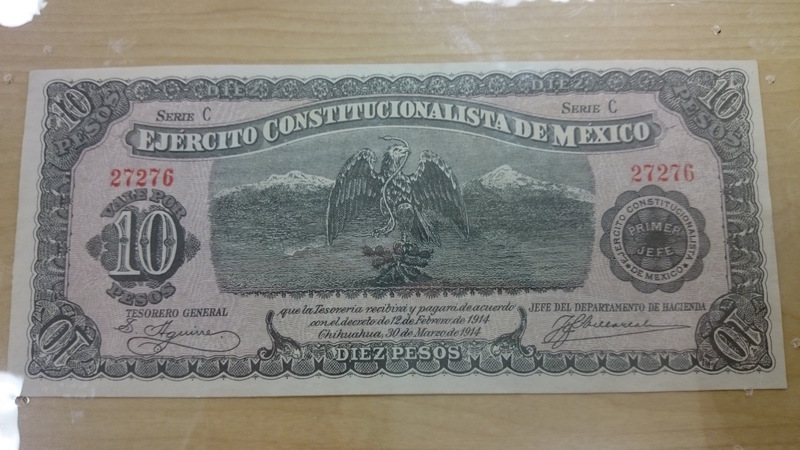 This is a bill from Mexico in the denomination of 10. Reason why I chose this bill was because the front of the bill really looks like an American dollar.The Illustrations feel really modern-contemporary. The eagle represents a symbolic figure in the history of Mexico. We can see an eagle with a snake in its mouth, with mountains appearing in the background. As far as the image mode goes, the image portraits a real print, the image just feels like a real drawing. The background of the bill is very abstract, but very simplistic at the same time. Patterns on the bill are very consistent and abstract. It is not a full bleed print, but it fells very symmetrical. It is a little difficult to come up with a color scheme for the bill. If you look at it from a close distance, it looks pink but if you hold it far away from your eyes it looks green, like a dollar bill. The color scheme of this bill makes it look modern and realistic. Now, the back of the bill it’s completely different when it comes to color scheme. The bill is in red and the patterns and illustrations are very abstract. The text is very clean and readable. Letters are in capital letters and well balanced and in some ways this feature makes the letters the main focal point. 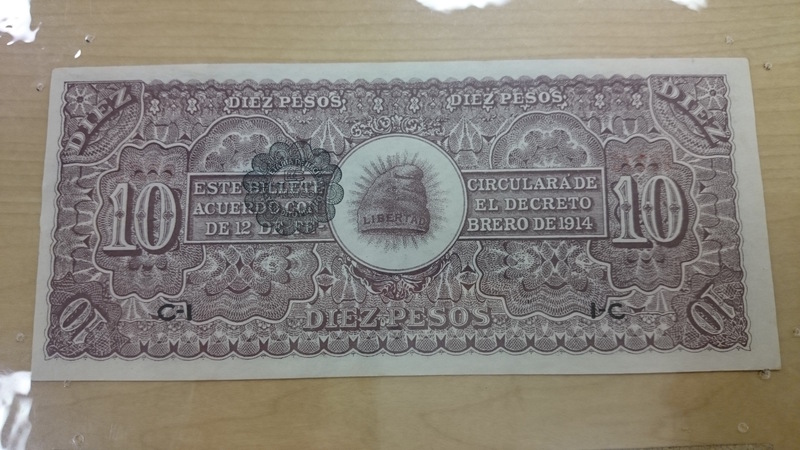 All the texts are in Spanish, and this gives an even more authentic and unique feeling to the bill. The bill shows signs of consistency and continuity, yet the front and back of the bill are a little bit different. This is a nice design where pattern, imagery, and typography are consistent throughout the entire bill. Overall, the bill design feels really clean and organic. This entry was posted in Fall 2015 Archive (338) and tagged abstract, design, illustration, Pattern. Bookmark the permalink.